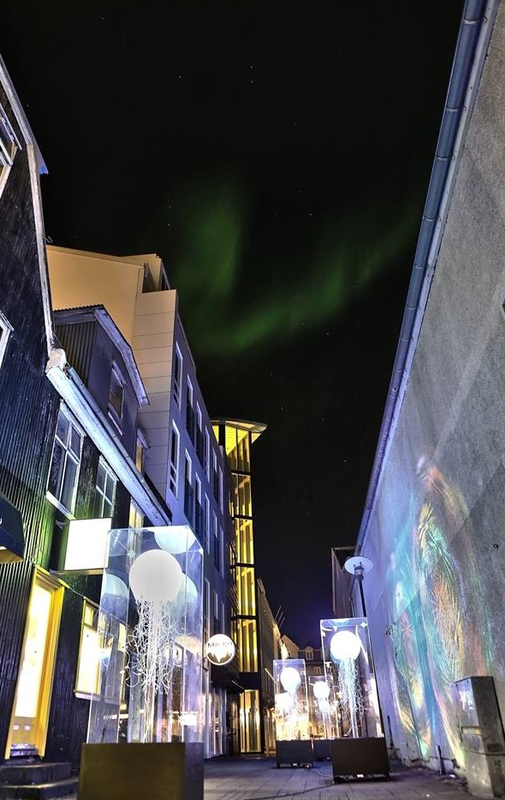 From the 6th to the 15th February 2014 Reykjavik Winter Light Festival spectacularly illuminated the darkness of the North Atlantic winter with Curated Place delivering a series of artworks throughout the city. 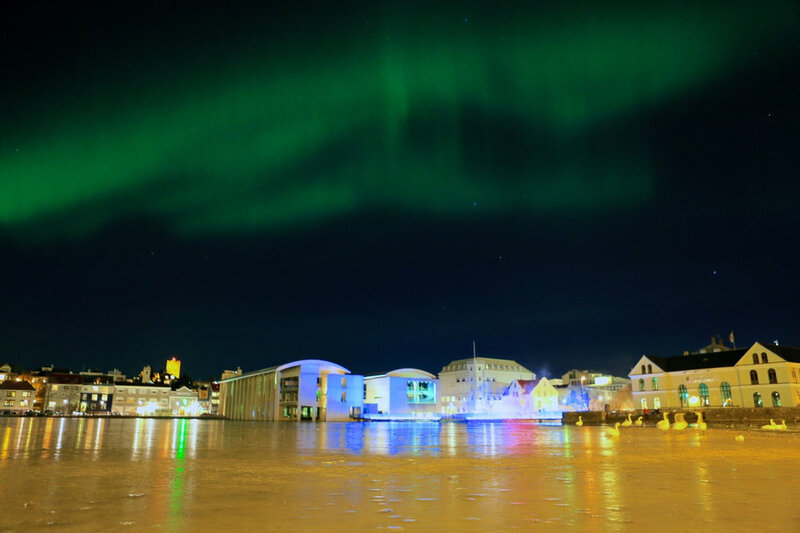 With over 200 events spanning the festival period we worked closely with Visit Reykjavik (with the support of Nordic Culture Point) to develop and deliver a series of major new art works at its centre bringing together artists from Greenland, Iceland, Denmark, Canada, Norway and the UK. 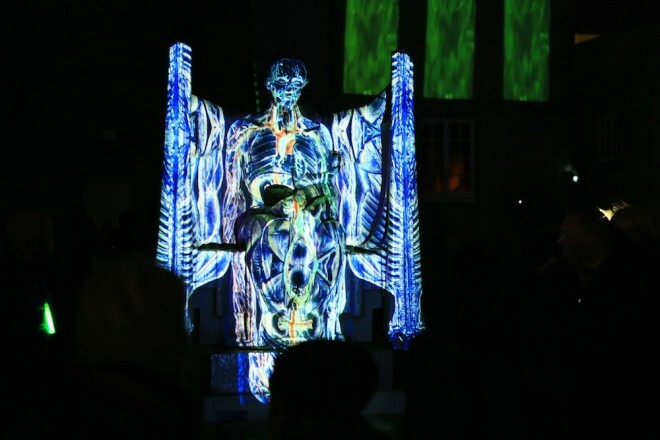 Our work brought together experienced light artists, enabling them to realise works of scale, as well as providing a platform for experimentation and professional development of established visual artists seeking to develop their work into the realms of lighting and the public-realm. Icelandic lighting designer and guerrilla lighting aficionado Kristján Gunnar Kristjánsson works with CCP game design director Örvar Halldórsson as Myrkraverk, bringing together their skills of lighting design and motion graphics wizardry to wake the city statues in the garden of the Einar Jonsson Museum. Taking visitors into the belly of an enormous instrument Lys*Arp by Ulf Pedersen (Norway/UK) transformed the birch copses of Tjornin into a magical, contemplative space. A series of lengths of electroluminescent light wire (EL wire) are tied to rigid formers, arching to mimic the shape, scale and length of a tunnel or canopy. Each length of EL wire is programmed through a MIDI to DMX, synchronised with the sound of an original stringed instrument soundtrack; as the viewer passes through the tunnel of illuminated arches, an improvised soundscape emerges as though each length of EL wire is being gently plucked by a musicians fingers. On the Bridge by Tine Bech (Denmark) is a large and stunning light installation with connotations of the magical – drawing on the Scandinavian fairytale “De tre Bukke Bruse”. Using light, motion detectors and a low hanging fog the City Hall bridge was illuminated with colour changing light, creating a sculptural and ephemeral cloud symbolic of a magical light creature which lives under the bridge – reacting by changing colours every time someone ventures over the bridge. 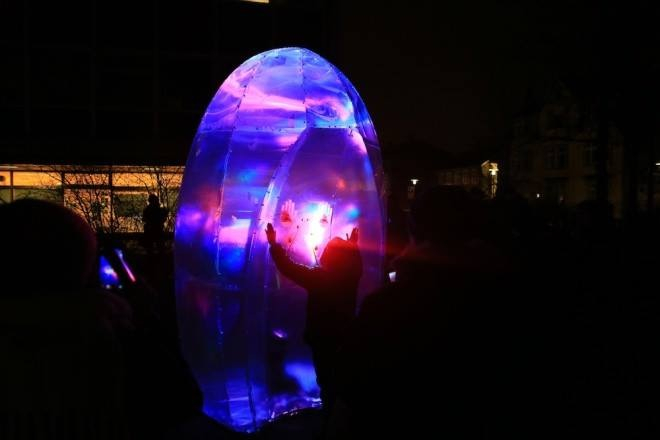 Circle 6 is a Spiritual Light Installation by the multi-national team of Inuk Silis Høegh (Greenland/Denmark), Arild M. Kalseth (Norway), and Amelie Deschamps (France/Canada). Circle 6 is a three dimensional experimental light installation built around the concept and practice of a healing circle – a healing machine embracing the energy and aura of light. A single ovoid form houses an interactive and responsive light installation controlled through gestures of audience members willing to engage with the structure. Drawing inspiration from ancient sites of worship the work aimed to suggest a spiritual, ritualistic and transformative purpose yet to be discovered and experienced by audiences led by performers who enact healing rituals as part of the work. 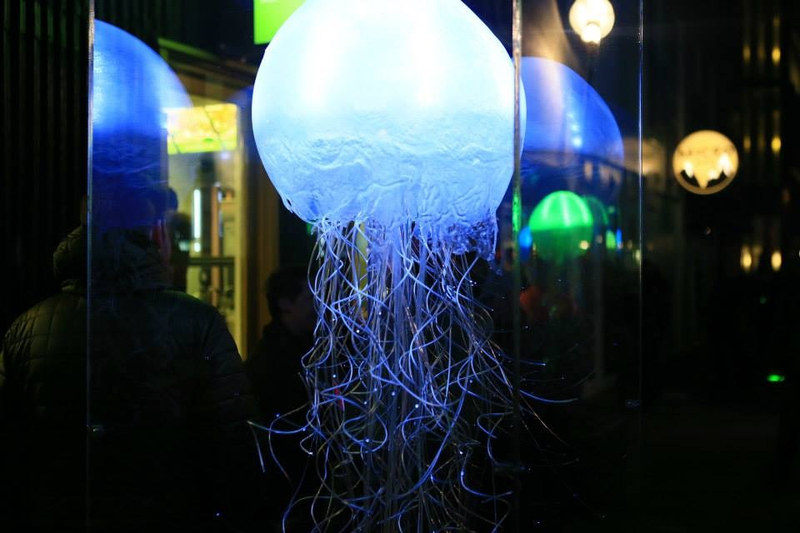 Reykjavik based British Artist Kitty Von-Sometime, creator of The Weird Girls Project, drew inspiration from the magic of bioluminescence to create an environment of reactive jellyfish to take over the city streets. Created in the Curated Place studios we worked with the artists, providing the engineers and technicians to realise every aspect of the work from concept to delivery in Reykjavik.